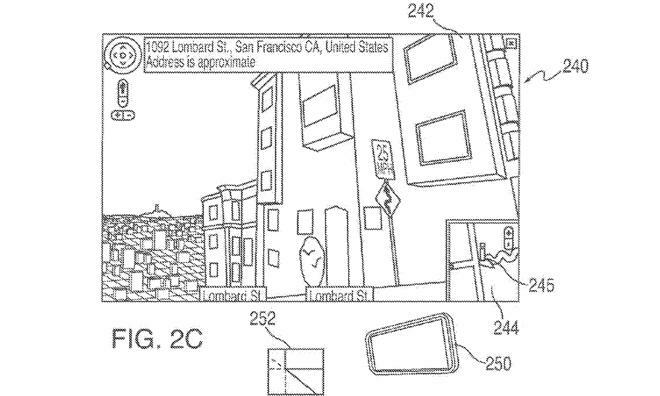 Apple was awarded a patent this week for a concept that could allow users to crowd-source street-level, three-dimensional mapping data by simply taking pictures on their iPhones and sharing them with the world. 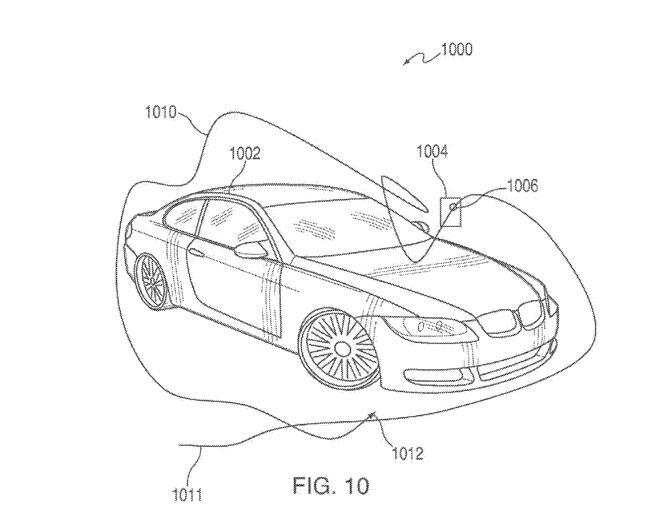 The U.S. Patent and Trademark Office awarded U.S. Patent No. 8,624,974 B2, entitled "Generating a Three-Dimensional Model Using a Portable Electronic Device Recording," to Apple on Tuesday. AppleInsider first detailed the patent, when it was simply a proposed filing, in 2010. The concept describes using a portable device, such as an iPhone, to record video or photos of an area. That collective information could then be used along with other crowd-sourced media to render an object or location in three dimensions. In this respect, Apple could essentially crowd-source the capturing of street-level images to end users, allowing for thorough and up-to-date information in its Maps application. The current mapping leader, Google, obtains its own "Street View" data by driving vehicles with 360-degree cameras on streets around the world. This data is then captured and made available online, allowing users to virtually traverse the world and see destinations, making it easier to find a location to which a user may plan on driving. Apple's own mapping data does not have a direct competitor to Google's Street View. Instead, Apple offers what it calls Flyover, a 3D, interactive aerial rendering of some major cities around the world. 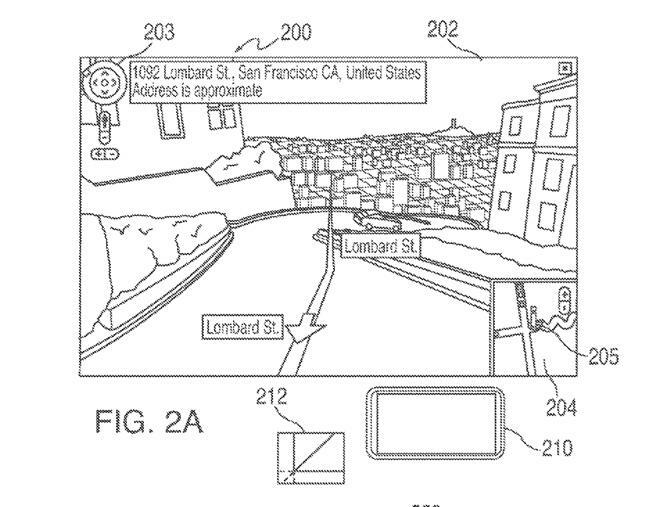 But if it were to develop and release a system based on the newly awarded patent application, Apple could achieve the same level of detail as Google Maps Street View without the need to drive vehicles around the world. In fact, Apple's solution could be even more up-to-date than Google's, as users could simply capture new images to reflect when storefronts, roads, buildings or landscapes may change. 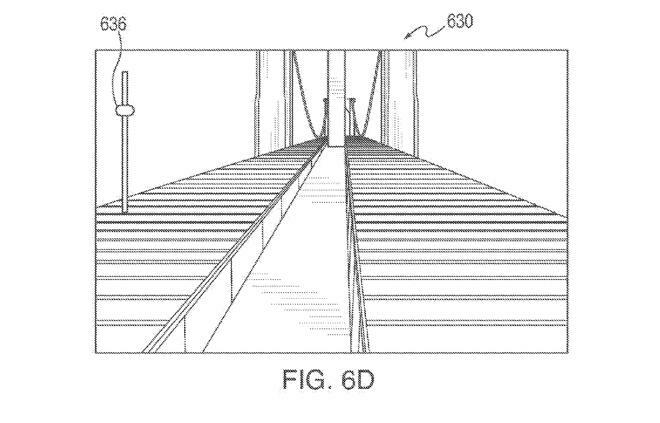 Apple's invention describes accessing the movement data of a portable device, such as the accelerometer and gyroscope on an iPhone, to be able to render a three-dimensional model of a scene or object. "The recording can be simultaneously tagged with the output of the motion-sensing component, positioning information, or both to define the spatial relationship between video frames of the recording," the patents reds. "The video can then be processed (e.g., on a host device) to generate a three-dimensional model using the images and spatial relationships. Any other electronic device can then load the generated model and allow the user of the other electronic device to navigate the three-dimensional model (e.g., using deterministic movements)." The patent describes using the rendered 3D data to allow users to experience a location in a "street view of a mapping application." But the technology could also have other uses, such as allowing users to "scan" a three-dimensional object with their phone, and have it recreated in an interactive form on their touchscreen display. In yet another example, Apple says that this technology could also be used for video games, allowing users to navigate a virtual world on their iPhone. By moving the device, the user could see, in any direction, what the virtual world includes, complete with rendered images of its appearance from any location in the world. Apple's invention is credited to Richard Tsai, Andrew Just, and Brandon Harris.